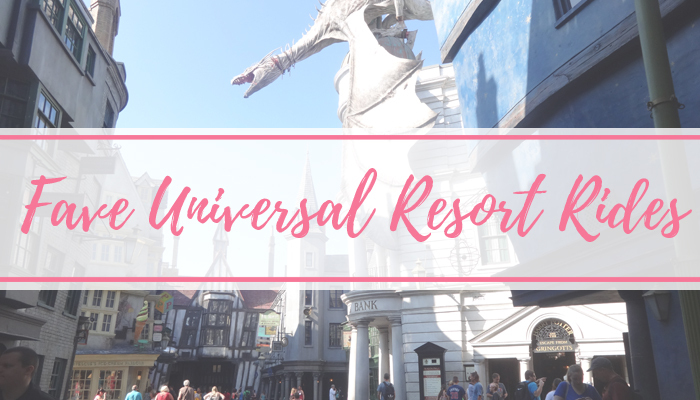 The Universal Resort theme parks - Universal Stuidos and, Islands of Adventure - are probably my fave two theme parks in Orlando. 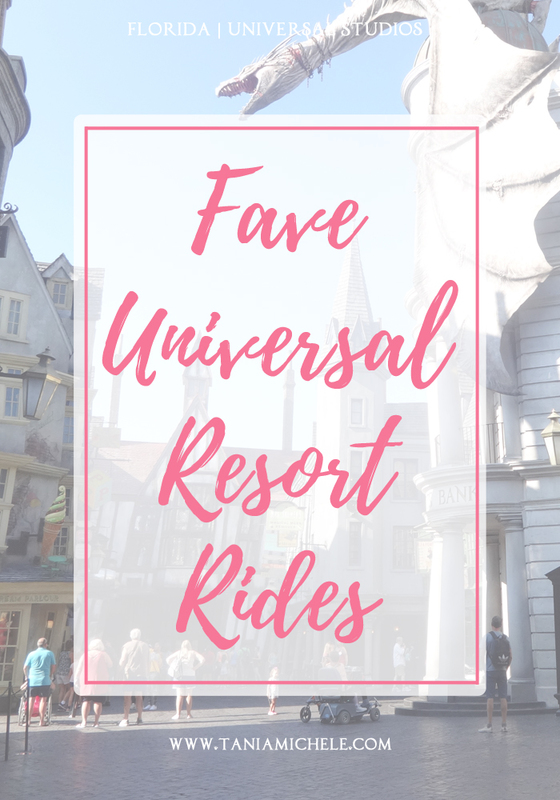 I love Disney, but the Universal rides are just tailored to what I prefer, so perfectly! The rides here are incredible, and though I couldn't get my camera on any of the rides, due to the metal detectors and no-bags policy on a lot of the rides, I just got to be in the moment and enjoy the rides. Here's a list of the ones I really enjoyed, and in no particular order. All of these the rides that we went on, were AMAZING - but these are my top rides from both parks. On Rip Saw Falls, we got so wet on it, that I was literally dripping water the entire way back to the car! Escape from Gringotts was so awesome, but the que time had jumped up to over an hour during the time we has queued for 10 minutes, went on the ride, and then came off of it. 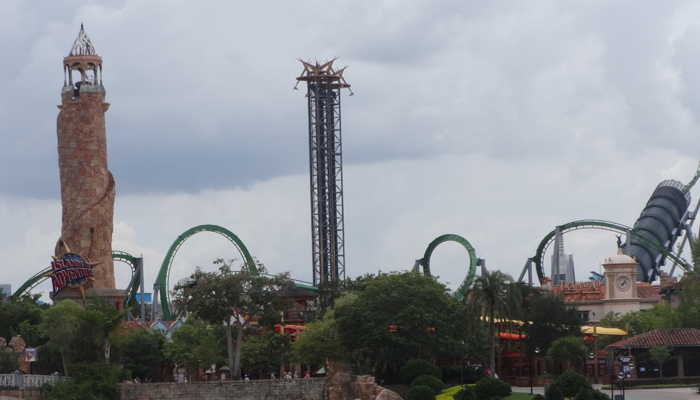 I usually hate ones like Dr Doom's Fearfall, as I don't like the feeling of plummeting to the ground like that - however, this wasn't as bad as I thought, as I actually really liked it! I LOVED both the Harry Potter rides, especially The Forbidden Journey - I think it was my favourite from the whole resort! I must be a huge wuss, because these all look terrifying. Is there a ride where you can just sit and eat cookies? I'm all about that.